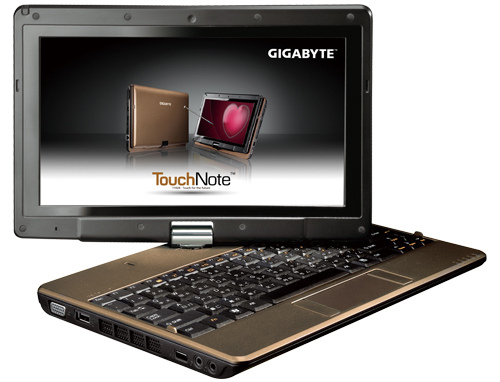 Is Gigabyte's touchscreen netbook too feature-packed for its own good? Gigabyte's netbook range is quite small compared to its rivals, but its two flagship products include unique designs that stand out from the crowd. The T1028 – also known as the Touch Note – is its touchscreen model and proves to be something of a mixed bag. While the T1028 is well built and usable, its low battery life and bulky design mean it is far from an essential purchase.